The venue chosen for the first formal meeting of the interim board of the Baltic Audiovisual Archival Council (BAAC) was the old and beautiful capital of Latvia, Riga. The year was 2005 and the month was April. 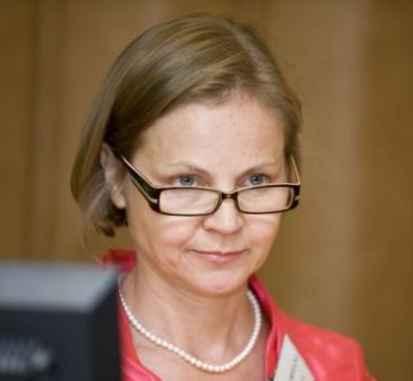 The host for the meeting was Latvian Television. 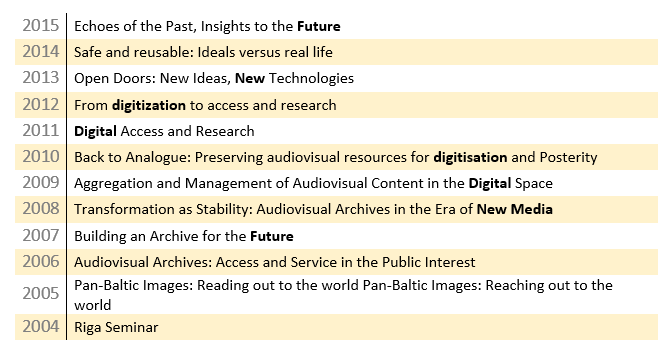 The aim of the meeting was twofold: is it possible to establish a pan-Baltic audiovisual archiving cooperative organization, and do we want to organize a second Riga conference in the autumn of 2005? Tedd Urnes, NRK, chaired the meeting. Lasse Nilsson, SVT, was invited to give a presentation on the topic: “Why are we doing all this conferencing and networking – what is it good for? “. He asked many crucial questions: is it worthwhile for our organizations to be investing in this kind of acquisition of knowledge? Will there be people ready to accept the offices and responsibilities in the board of such an organization? How much work will it mean, that has to be carried out in addition to our usual responsibilities? How will the officers of the board be elected? How do we deal with the economy of the organization; funding, membership fees, bank account? 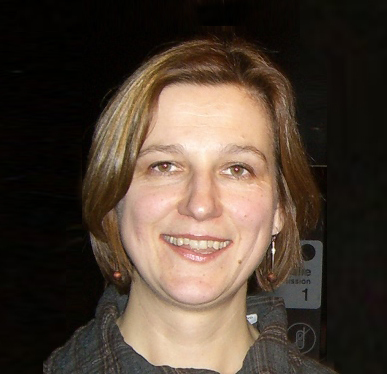 What about cooperation with already existing organizations on the audiovisual archiving scene? What will be the main objects of the organization? The Baltic Audiovisual Archival Council (BAAC) is born. The presidency was accepted by Piret Noorhani, Estonian Literary Museum, Vice Presidents were Rasa Miskinyte, Lithuanian Radio & Television and Inga Vilcane, Diena Library, Secretary Nora Licite, Latvian Radio & Television, members of the board: Andris Kesteris, Library and Archives of Canada, Tedd Urnes (Formely Tedd Johansen), NRK, and Lasse Nilsson,SVT. The Estonian Embassy at Tyrgatan in Stockholm was the first venue for the participants at the meeting. The 2nd Secretary of the Embassy, Sven Tølp, welcomed the participants wishing the organization every success for the future. 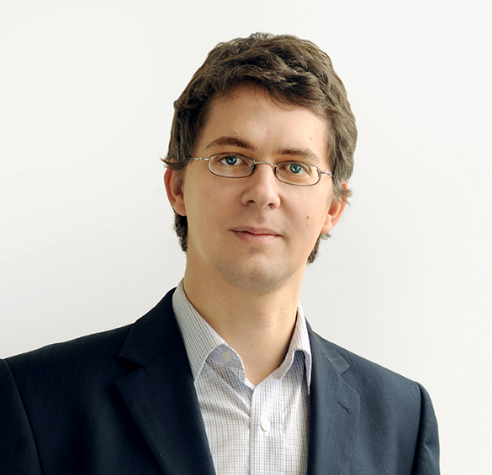 BAAC documentation was signed for the registration of BAAC as a non-profit organization and the signatures were authenticated by Sven Tølp. Signing of BAAC documentation in Stockholm. Piret Noorhani, Lasse Nilsson, Inga Vilcane from BAAC on Vimeo. The date of inception of Council's activities is October 16, 2005. The official address of the organization is Vanemuise 42, Tartu 51003, Estonia. BAAC has an official logo and stamp. The Council is registered under the laws of the Republic of Estonia. Participants at the Estonian Embassy were the elected Board members: Piret Noorhani (Estonia), Juozas Markauskas (Lithuania), Inga Vilcane (Latvia), Andris Kesteris (Canada), Tedd Urnes (Norway), Lasse Nilsson (Sweden), Lars-Gunnar Bengtsson (Sweden) and Kristine Paberza (Latvia). The Board meeting was continued at the premises of Swedish Television chaired by Eva-Lis Green and Gunnel Jønsson, SRF Radio Archives. Raising funds for BAAC activities and the planning of the Riga seminar 2006 and IASA/BAAC Conference in 2007 were discussed. In 12 years BAAC events have grown from the small Riga seminar in 2004 to well attended international conferences. The 10th annual conference of BAAC in 2013 was marked by organising a joint IASA-BAAC conference in Vilnius. 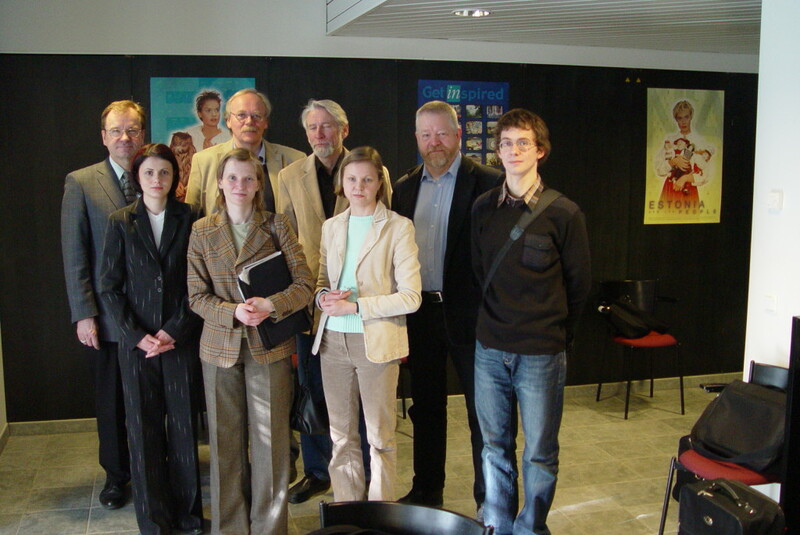 It was the second joint IASA-BAAC conference, with the first one in Riga in 2007. 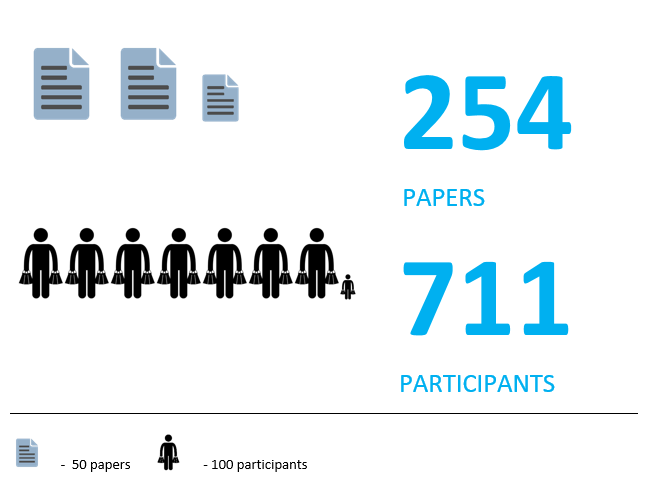 During decade of seminars and conferences 254 papers and workshops were presented, more than 700 individuals registered to participate. These figures don’t include local events and papers presented by our members in non-BAAC events. The decision to set up meetings and conferences in the capitals of all three Baltic countries was introduced as a rule at an early stage of the association. This means that Tallinn, Riga and Vilnius have hosted the annual conferences apart from 2012 when Helsinki, Finland, was chosen as the venue for the annual conference. BAAC has organised several mini seminars, workshops and training events. Three-week course SOIMA in 2011 in partnership with ICCROM required the most extensive involvement of BAAC. This course featured a variety of learning activities including hands-on sessions on digitization, preservation, metadata and audio-video recording of a live folk performance. 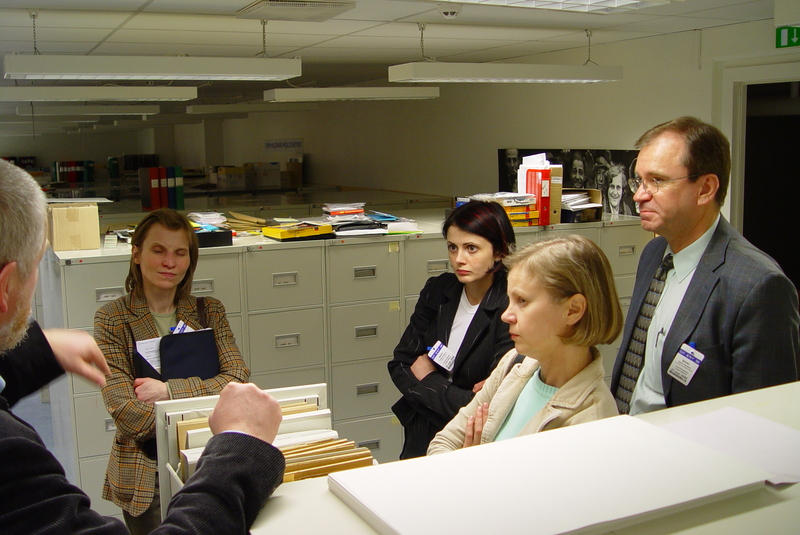 The main reason for setting up BAAC was to assist different audiovisual archives situated in the Baltic countries. BAAC needed support from broadcasting corporations in Scandinavia and also from Canada. Due to the critical economic situations in Europe, many broadcasting corporations have decided to limit the support to associations like BAAC. Budget cuts and lack of government support in many countries are the main reasons for the decrease of the institutional members of BAAC. 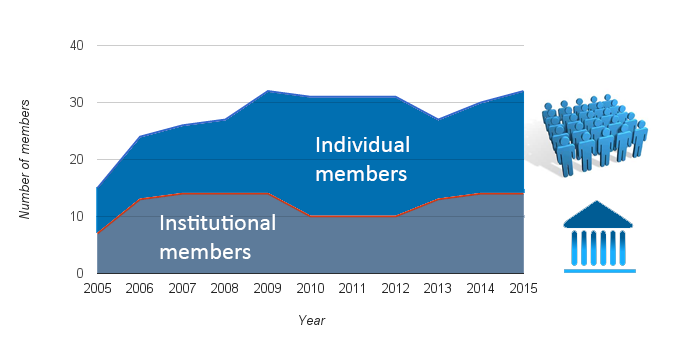 The total number of BAAC members during the 10 years has been stable.